The Louisville Conference on Literature and Culture since 1900 is an international event attracting more than three hundred participants annually. Scholars working in all languages and literatures are invited to submit proposals on any topic pertaining to literature and culture since 1900. The Conference also welcomes submissions by creative writers. Reading committees select the best critical and creative works; the papers are then grouped for presentation at sectional meetings held on our campus. The conference also hosts national and international Group Societies. Each year the Conference features keynote presentations by distinguished authors and critics. In 2018, our keynote speakers included Brent Hayes Edwards, NourbeSe Philip, and Dominic Pettman. 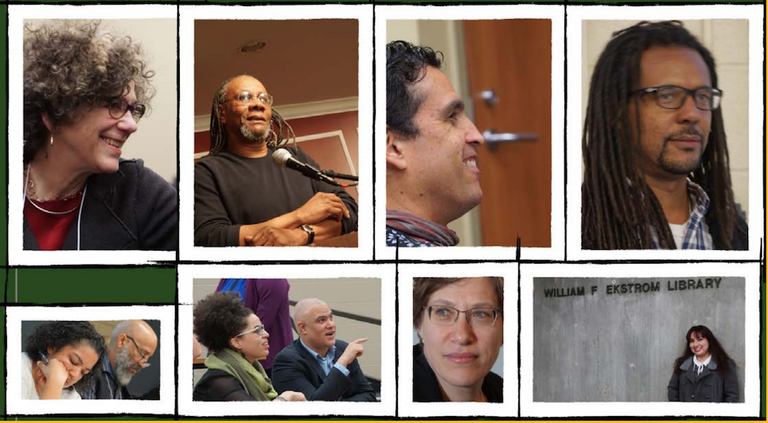 Other recent speakers include Lauren Berlant, Mariana Bernardez, Michael Berubé, Debra Castillo, Russell M. Cluff, Johanna Drucker, Lisa Gitelman, Michael Handelsman, Mat Johnson, Joseph Lease, Janet Lyons, Jane Marcus, Tracie Morris, Fred Moten, Laura Mullen, Peter Nicholls, Jean-Michel Rabaté, Joan Retallack, Rodrigo Toscano, and Colson Whitehead. For this year's conference and the Call for Papers, see the conference website.